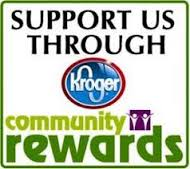 Kroger Community Rewards and the JLHR! The Junior League of Hampton Roads is a part of the Kroger Community Rewards program! This program allows a portion of registered customer’s purchases to go back to our League. In turn, this money is used by our League to provide new opportunities and resources for the Peninsula community. How do you get started? Well, we’re glad you asked! Have your Kroger Plus card handy. If you don’t already have one, they are a free discount card available at any Kroger location. Did we mention it’s free? Create an Kroger Rewards account, making sure to check your e-mail to confirm the e-mail address. Make sure to fill out all information, including our NPO number, which is 94006. Now, just get out there and grocery shop as usual, knowing some of that money is going right back into the community! The Junior League of Hampton Roads also boasts a continuing relationship with Amazon Smile, which allows users to have a portion of their purchase go back to the organization of their choosing. Go to smile.amazon.com. We recommend setting a bookmark, so that you remember where to go each time you make a purchase. On your first visit to smile.amazon.com, you will be prompted to choose an organization. The Junior League of Hampton Roads is on that list! Shop like normal, and when you check out, 0.5% of your purchase will go back to our League!